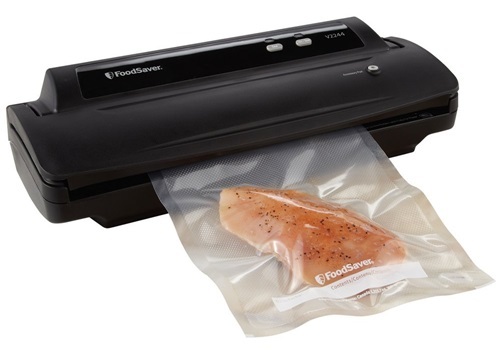 The FoodSaver Vacuum Sealer V2244 is the #1 bestselling vacuum sealer on the market today. It’s ideal for vacuum sealing meat and fish for long-term freezing, and cheeses and deli meats for chilling in the refrigerator. It’s also ideal for preserving the freshness of things that you’re going to store in the pantry such as crackers and nuts. It’s a helpful appliance if you’re a raw foodie because vacuum sealing will stop your walnuts, almonds, and pumpkin and sunflower and flaxseeds from going rancid. So What Benefits Make The Foodsaver Vacuum Sealer V2244 Such A Hot Cake? It’s a heat sealer. This means it seals the plastic bags by melting the layers shut. This ensures an airtight, fool proof seal and are far better than valve vacuum sealers. It has an extra wide sealing strip so you with it you can use both the small and wide freezer bag & rolls. Its sleek design makes it a useful addition to the kitchen of a discerning homemaker and an elegant entertainer. It’s compact so it won’t gobble up your precious kitchen counter space. That makes it portable, too. This FoodSaver vacuum sealer V2244 is a manual operation. So you can be sure there will be not unnecessary bells and whistles that require you to master a manual. The manual operation also allows you to control the strength of the vacuum suction. So you can stop it before it crunches your cookies or kneads your bread into an ugly mass. 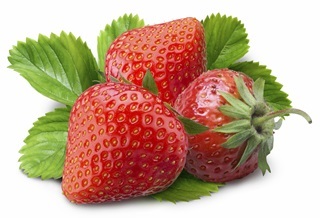 Or your blends your strawberries beyond recognition. It’s a push-button, making it easy to operate. In addition to the manual operation, a CrushFree Instant Seal mode helps to protect especially delicate foods during the sealing process. The drip tray is removable so this vacuum sealer is a good choice if hygiene is important to you. Plus, this tray is dishwasher safe so you don’t have to wash it yourself and risk chipping your beautiful nails. It comes with an accessory port plus hose vacuum seal canisters that make marinating your food a breeze. A 1-year limited warranty gives you peace of mind that defective parts and labor that existed at the time of manufacture will be remedied at zero cost to you. It’s black so it won’t stain easily. There’s nothing quite as bad as wondering whether an appliance was originally beige or whether it just absorbed the colors of the foods it came into contact with. This is also a good choice if you your kitchen décor is dark. Bonus. Besides the vacuum sealer, accessory hose and manual, the following are included in the box: one 11-inch by 10-foot roll, three quart-size bags, and 2 gallon-size freezer bags. These aren’t just a nice touch; you’re all set to start vacuum sealing when your package arrives. Be on the lookout for this vacuum sealer at your local appliance store. If you can't find it there, you can always check it out online. For example, although it’s normally priced at $99.99, you can get it for 30% off at Amazon, where it currently goes for $69.50.